Droppings – Little black pellets that can be found near the skirting boards, in cupboards, and under the sink for example. Urine & Grease Marks – If you notice grease marks on the skirting boards, roof timbers or small holes this is generally caused by rodents brushing up against them while they’re out searching for scraps. Scratching & Squeaking – A giveaway sign is hearing scratching noises at night-time in the walls or in the ceiling. If you listen closely at night with your ear to the walls and you can hear suspicious noises, it’s evident that you’ve got some unwanted lodgers. The Smell of Ammonia – Rodents have a very distinct smell, particularly their urine. If your home is beginning to smell rather musty despite your efforts to keep it clean, then you’ve likely got an infestation. Live Rodents – If you spot a mouse or rat during the day in your home then you can bet that you’ve got a rather heavy infestation! Don’t panic, there are things that can be done though you must act quickly. 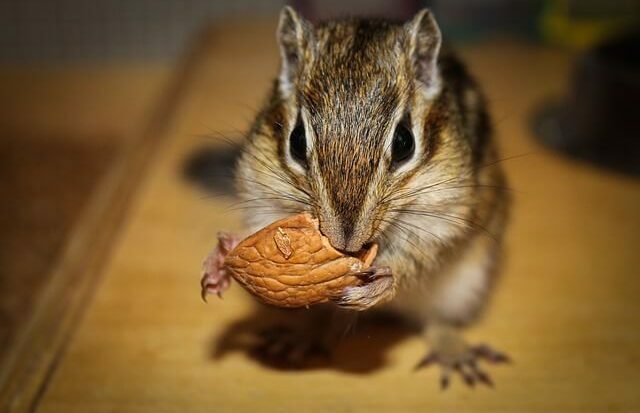 1 – Peanut Butter – Peanut Butter is without a doubt the best bait for mice. Spread it carefully on the plate and the mouse will be unable to resist. 2 – Smelly Cheeses – The Smellier the cheese the better! Strong cheeses like Stilton always tend to work very well in this regard. 3 – Sliced Hot Dog – A cheap and easy alternative, though it will work all the same. 4 – Chocolate – You might not be one for sharing when it comes to chocolate, but if its all you have in the house, they’ll certainly go for it. 5 – Cat & Dog Food – Make sure you keep your pets well away from the traps if you’re going to insist on using their food to bait the traps. The baits listed above are tried and tested, so we would recommend using these first. 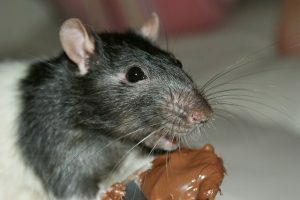 For the best bait for a rat trap use peanut butter. There’s no reason why you should have to deal with your rats or mice yourself. if you have any doubts or concerns then you should certainly call for help. Stored goods and materials create ideal nesting sites. Rotate or reduce these store goods to reduce potential nesting sites. If you want to keep your family safe and your home rodent free, you’ve got to work hard for it.